I hadn't actually noticed until now the little sticker on the lid that says 'keep me in the fridge'. I had just been storing it in my bedroom alongside my other LUSH pots and potions, but it doesn't seem to have effected it in any way. By that I mean it hasn't gone lumpy or developed a weird smell, so it's all good. 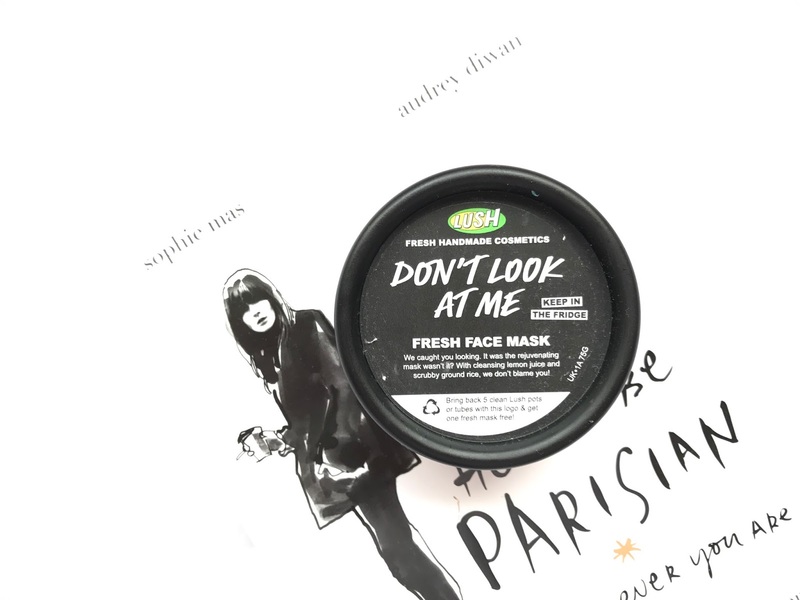 You can apply this face mask one of two ways - by gently applying it with a flat foundation brush, or getting properly stuck in and slathering it all over your face with your fingers. I noticed the mask stung a little bit when applied on my freshly-squeezed spots, however that's to be expected considering Don't Look At Me contains fresh, organic lemon juice and grapefruit oil. The mask smells amazing when fist applied, very lemony and fresh, however starts to smell a little clinical as it dries. After application, LUSH recommend leaving this mask for 10 - 15 minutes until it is semi-dry. Do NOT leave it any longer. I got distracted and left the mask for about 20 minutes and was left with blue tinted skin once I rinsed it off. This is great if you want to be a mermaid, but not so great if you have to actually leave the house. I honestly love the effect this mask has on my skin. I've been applying it in the evenings and then coating my face in MOA Aphrodite oil after washing it off. I find that this mask can be a little harsh if you're a bit over zealous with the exfoliating rice grounds whilst rinsing it away, so the Aphrodite oil along with the murumuru butter in the mask calms and softens the skin. I do love a cheeky exfoliation every so often, so this mask is ideal for me. The next morning, I honestly gasped and told my mum that my skin looked the best it has ever been. My skin was smooth and baby soft, glowing and my pores had disappeared. It looked like I was wearing the most perfect, natural foundation ever. 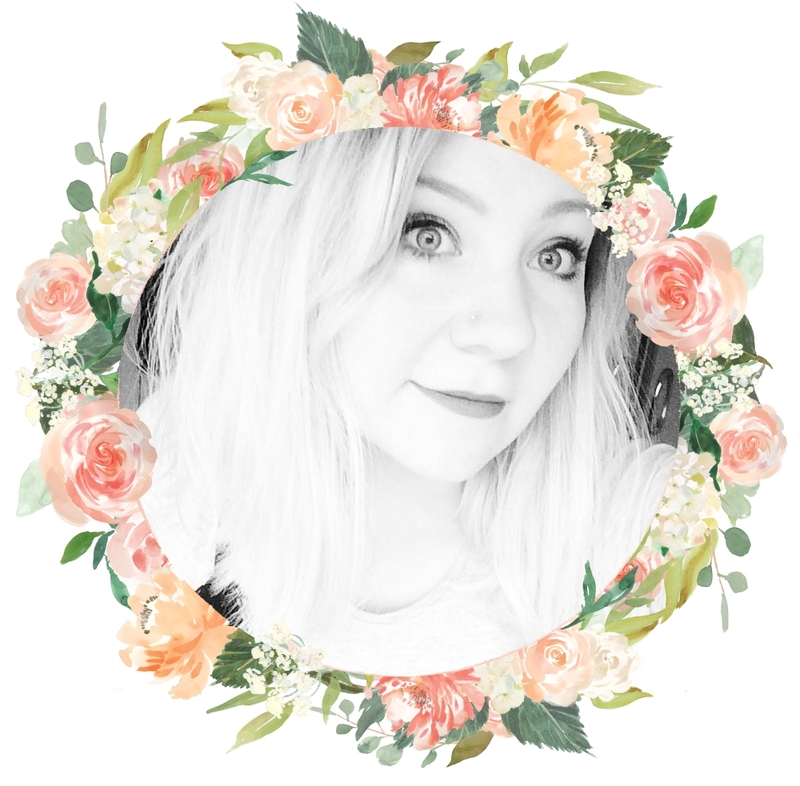 I felt fresh and ready for makeup, and the blue tint had also seemed to neutralise my redness overnight. I can't wait to try another LUSH face mask, and the next one I'm eyeing up is the Turkish delight scented Rosy Cheeks mask. 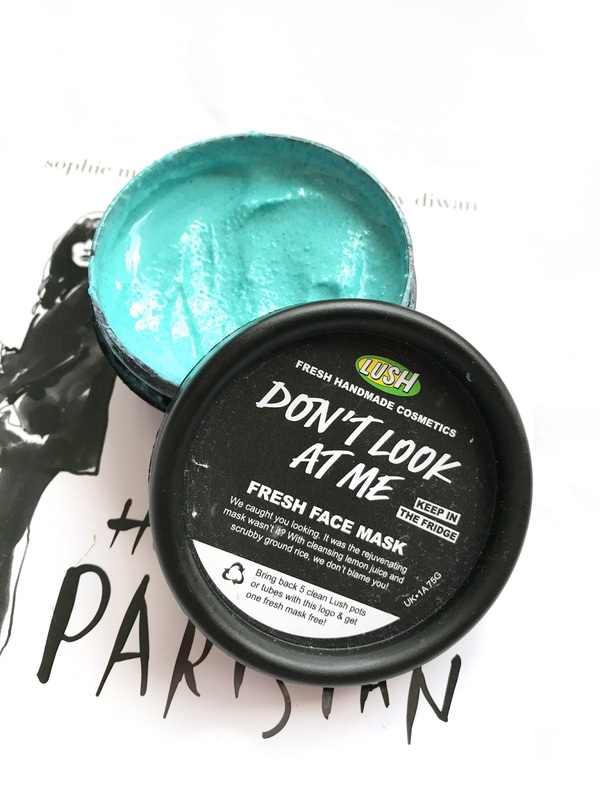 Have you tried a LUSH fresh face mask? Wow what an amazing colour! This sounds great, I could definitely do with a product to make my skin feel smooth and soft. I've never tried a lush face mask, really want to give one a go.